If you’re still freaking out that WP Pizza Bar is no longer, have no fear. Its replacement, WP Kitchen + Bar, is basically what you loved plus a little more. 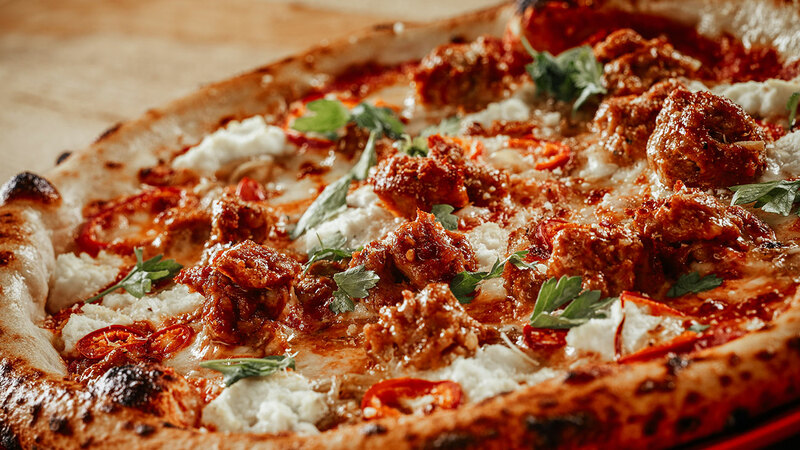 In January, SouthPark’s beloved pizza spot changed things up a bit with “a little more refined, a little more sophisticated” concept that focuses on more than just the ‘za. And that they did. While they’ve cut down the number of pizzas on the menu (from 16 to 6), they can still create your old favorites by request. 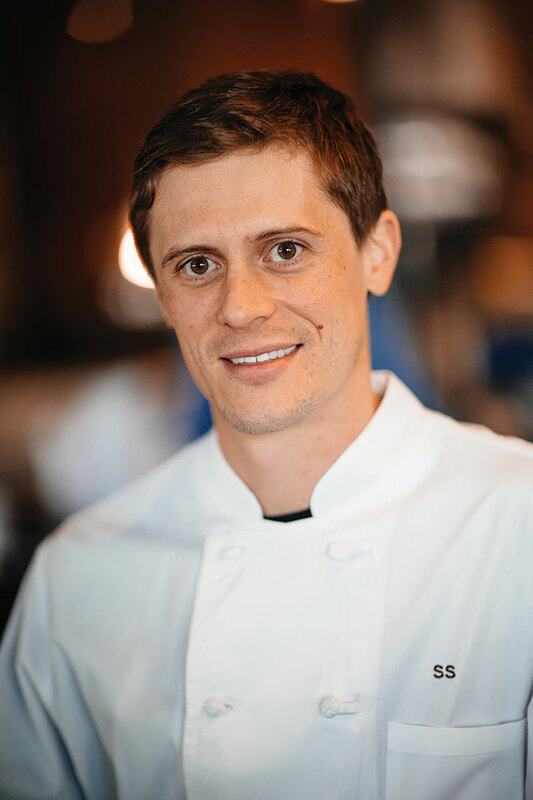 Chef Stephen, who graduated from Johnson & Wales University in 2006 and has been with this restaurant since its opening (as the pizza bar) in 2012, said they felt they had more to offer than just pizza, which was difficult to convey with the name. Now they’re highlighting fish and meat entrees, pasta dishes, and small plates while still serving up their signature wood-oven pizza. 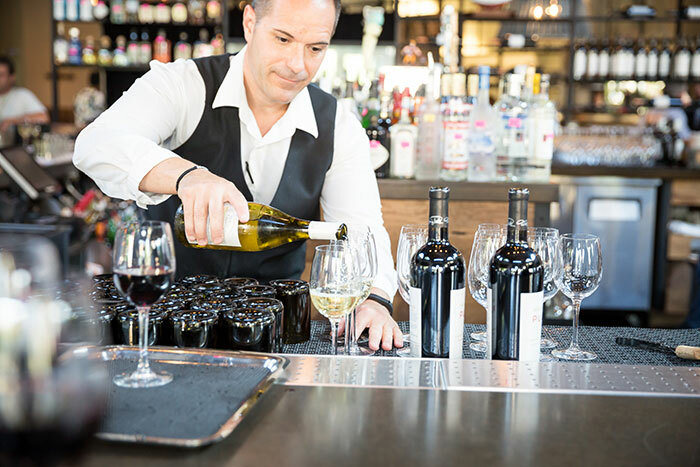 “A lot of the menu is geared toward sharing,” said Chef Stephen, saying WP Kitchen + Bar is perfect for date night or an evening out with a group of friends. They’ve also found ways to keep customers coming back. Menu items are subject to change based on local and seasonal ingredients, and they switch up their cocktail program quarterly. And if you’re looking to start your week off with a bang, WP Kitchen + Bar offers half-price North Carolina beers on Mondays and half-price bottles of wine on Tuesdays. As a big fan of Wolfgang Puck’s pizza himself, Chef Stephen wants loyal customers to know that nothing was compromised in the switch. “It is different but not unchanged from the people who knew us at the Pizza Bar. They shouldn’t be afraid, but new people should be interested,” he said. 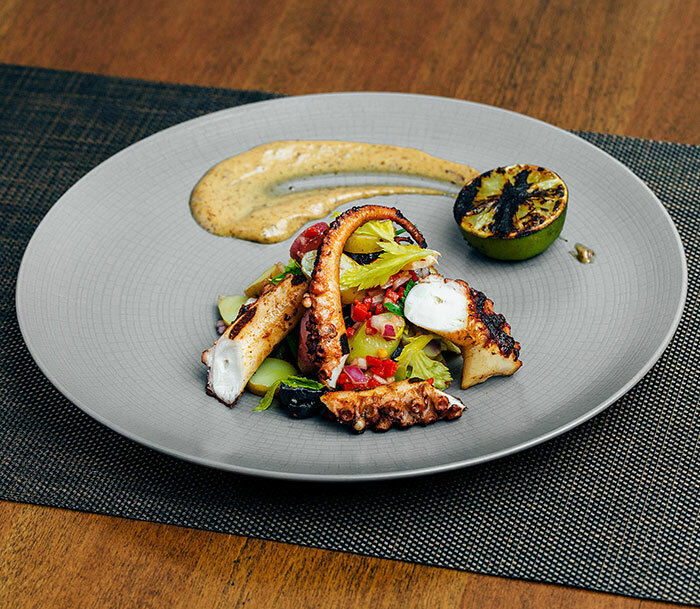 Make sure you try the grilled Spanish octopus (small plate) and mushroom garganelli (pasta). Oh, and a pizza. Duh.